When it was announced that Greg Hardy and Rachel Ostovich were both fighting, not each other, on Saturday’s ESPN+ debut card in Brooklyn the backlash got real. Hardy was convicted of domestic abuse in 2014 but the charges were later dropped when the victim failed to appear in court. His NFL career spiraled out of control until he essentially became more trouble than he was worth and wasn’t re-signed by the Dallas Cowboys for a myriad of reasons. His tumultuous journey landed him in the UFC and debuting on ESPN’s new streaming service on Saturday. Ostovich was the victim in a brutal domestic violence incident back in November of 2018 which is the source of the Hardy controversy. Recently she spoke with Hardy at an appearance and put his mind at ease that she basically didn’t think it was wrong for them to be on the card together. That didn’t stop journalists like Ariel Helwani from being mad for her. 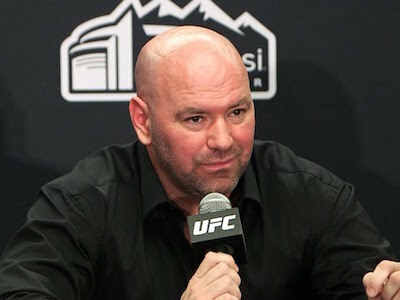 Dana White was interviewed by TMZ and asked about Helwani’s comments which prompted a mini rant. Check it out.